Praised as “a true artist” by the late Aldo Ciccolini, pianist Timothy Krippner has won top awards in numerous competitions and performed throughout the United States as well as Italy and Austria. A second-year fellow in Da Camera’s Young Artist Program, Mr. Krippner regularly performs chamber music and has performed with musicians such as cellist Desmond Hoebig and soloed with orchestras such as the Spokane Symphony and the University of Michigan Symphony Orchestra. He has won top prizes in the Seattle International Piano Competition and the University of Michigan Concerto Competition. Currently based in Houston, Texas, he recently earned his Master of Music degree from Rice University, where he studied with Dr. Robert Roux. As the resident pianist of the Kalmia Gardens Chamber Music and Arts Foundation, he frequently performs in chamber series and solo recitals and has the opportunity to engage his audiences with preconcert talks. This commitment to education extends to his private studio and work at the Campbell Learning Center and the Kawaii Gallery music schools in Houston. 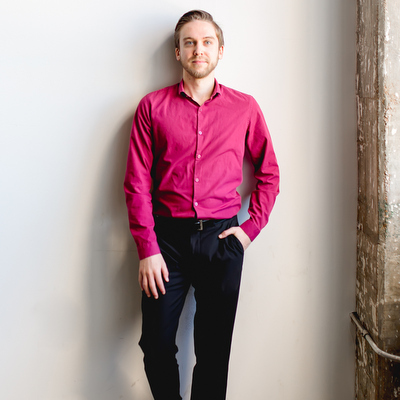 He previously studied with Dr. Logan Skelton at the University of Michigan and has worked with artists including Jonathan Biss and John Perry in festivals such as Pianofest in the Hamptons; PianoSummer at SUNY New Paltz; Beethoven Institute at Mannes; Amalfi Coast Music and Arts Festival in Italy; and the Bösendorfer International Piano Academy in Vienna, Austria.